Yesterday Hyacinth Beverly Morgan of Silver Spring, Maryland (Montgomery County) entered a guilty plea to second degree child abuse. The story is not getting a great deal of attention, but the Morgan case was the first of two similar cases in Maryland within four months of one another wherein adopted girls who had been allegedly locked in, deprived of food and beaten, managed to extract themselves from the horrendous situations they found themselves in at the hands of their adopters. The Morgan case was from back in June ’08, the second similar case was the Renee Bowman case from Lusby, Maryland in September ’08. Renee Bowman’s seven year old adopted girl managed to climb out her window as well, and sought help. Her two adopted sisters, Jasmine Nicole and Minnet C., were not so “fortunate,” they were found stashed in a home freezer, long dead of asphyxiation, carried from Montgomery County to Calvert County when Bowman moved. Montgomery County police say that in June, Morgan tied her adopted daughter naked to a bed and beat her. Police also say the victim claimed that the 47-year-old mother locked her in her room without enough food. The girl eventually escaped through a window. Officials say that on June 15, the girl flagged down a car and asked to go to a nearby McDonald’s. She was later treated at a children’s hospital. Detectives say that their investigation led them to the girl’s adoptive mother, 47-year-old Hyacinth Beverly Morgan of Silver Spring. Morgan was arrested and she now faces charges of first-degree child abuse, first-degree assault, second-degree child abuse, second-degree assault, reckless endangerment and false imprisonment. Neighbors who live near Morgan’s Silver Spring home say she has spent the last decade building what appears to be a daycare facility which never opened. It’s a three-story treehouse with jungle gyms, playhouses, and even a bird coop that neighbors call an eyesore. Here’s the Montgomery County Police blurb from last June, Police Make Child Abuse Arrest in Silver Spring, and a copy of the police press release from last June announcing the arrest. 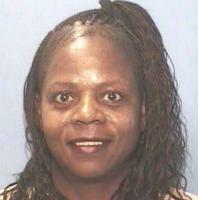 Sentencing for Hyacinth Beverly Morgan is set for July 10th by Circuit Court judge Durke G. Thompson. Bowman will first face charges in Calvert. In October, she was indicted there on attempted murder and other charges in the alleged abuse of her surviving daughter, according to court records. She is scheduled to be tried Sept. 28. After the criminal charges in Calvert are resolved, Bowman will be brought to Montgomery to face the murder charges, McCarthy said.